What does it mean to major in Spanish? We train students to be global professionals with superior levels of Spanish language skills. Spanish majors study the language, linguistics, history, and cultures of Spain and Latin America. They gain the cultural awareness and intellectual strategies necessary to successfully navigate the interconnected and multicultural world in which we live. Spanish is the spoken by over 400 million people and is the fourth most commonly spoken language in the world, with 35 million Spanish speakers in the US. Our students attain strong language competence in listening and reading comprehension, speaking, and writing skills as well as the cultural knowledge for interacting with Hispanic people in professional and informal contexts. Why is the University of Mississippi a good place to study Spanish? There are 23 faculty in Spanish, with areas of specialization ranging from Spanish literature and cinema, Hispanic sociolinguistics, colonial Spanish literature, Nahuatl, second language acquisition, Spanish-American literature, and women writers. Spanish majors have a wide variety of outside-the-classroom opportunities for language learning. El café de los lunes, Spanish conversation group regularly meets on campus and off. 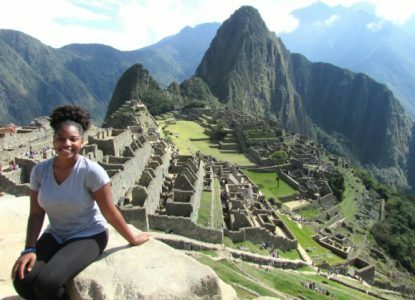 The Office of Study Abroad provides access to dozens of programs in Spanish-speaking countries where students study a variety of linguistic and cultural topics. Dr. Heather Allen, Associate Professor of Spanish, earned her Ph.D. at the University of Chicago. Her primary research and teaching focuses on early modern Spanish American and Mesoamerican historiography, weeping and affect, and the cultural history of print in the Iberian Atlantic. Her upcoming edited volume, Latin American Textualities: History, Materiality, and Digital Media, is an interdisciplinary look at textual history, textual artifacts, and digital textualities across Latin America from the colonial era to the present. Currently she is investigating the role of weeping and affect in the autobiography of Catalina de Erauso, a seventeenth-century Spanish girl who escaped a convent and fled to the New World where she successfully lived as a man. Dr. Allen’s research on Erauso teases out the entangled relationship between Erauso’s faith, lacrimal excesses in moments of intense psychological and physical crisis, and need to present as male. What can UM Spanish majors do after graduation? A liberal arts education empowers and prepares students to deal with complexity and change through a broad knowledge of the world. They gain key skills in communication, problem-solving, and working with a diverse group of people. People who fluently speak a foreign language have better job opportunities. Related careers to Spanish include education, international business & banking, tourism, journalism, law, translation, foreign service, cultural affairs, military service, and health care. While working on her neuroscience minor, Wilson joined the biology lab of Dr. Lainy Day where her research became an honors thesis and conference presentations. She participated in a medical mission trip to Bolivia where her Spanish helped with community health screenings and shadowing local physicians. To explore her interest in public health, Wilson was a summer researcher with a Center for Population Studies project on improving birth outcomes in the Delta. For an internship in Clarksdale she compiled and presented community profiles to local leaders and nonprofit organizers. As a member of Delta Gamma fraternity, Wilson was an academic tutor and community volunteer. 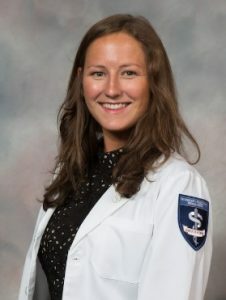 During her first year of medical school at UM Medical Center in Jackson, Wilson noticed a need for Spanish speaking health care providers. She became involved with the Spanish Club at UMMC and interacted with patients in Spanish at community health screenings. She is looking into becoming a certified medical translator soon. Why study Spanish at UM? Whom should I contact to learn more about majoring in Spanish?